We know that a fast registration of guests is critical to a fun event. We make sure you have enough stations, staff and option for pre-registration, as a result no waiting in line. Registration made easy by searching by bidder id or name. Add New Bidder if needed from this page and go directly to the Check-In page below to quickly enter guest credit card and general information. 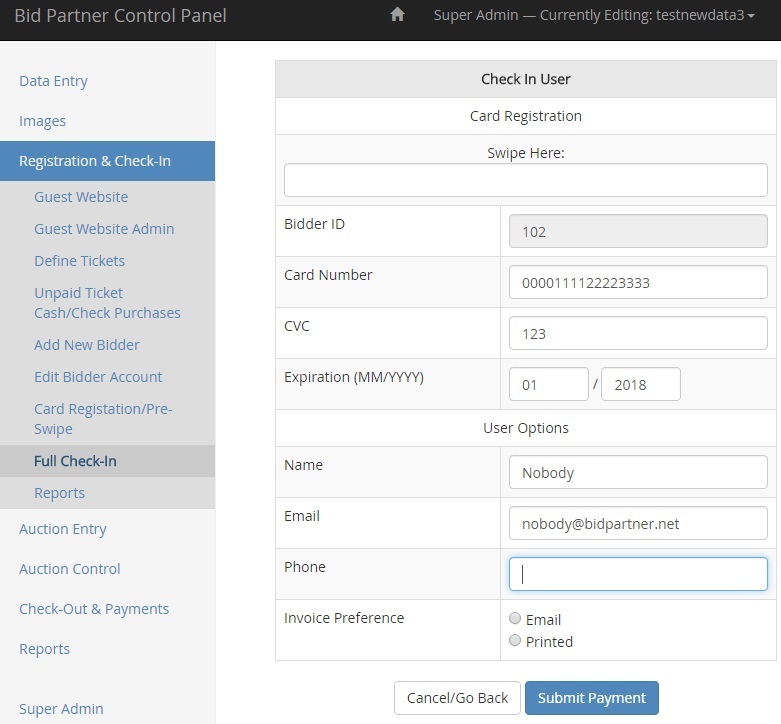 Registration – Check-In screen for swiping credit card information for billing. Updating the email, phone and invoice preference during check-in is easy because of the screen design.